Looking for mixture and diversity, a tropical beach and New Zealand adventure, want to see the Sydney, the outback and relax at a Fijian island resort or an overwater bungalow and a lodge with a wood burning fireplace. No Problem. Below are some of our suggestions. The combinations are numerous and the flight schedules do vary daily between different countries so we recommend speaking with a Aspire Down Under consultant and tailor your dream itinerary. NOTE: Per person costing for our multi destination packages are based on two persons traveling together from Los Angeles and include approx between $350 & $800 airline taxes, fees and fuel surcharges (depending on combination of destinations) in accordance with the Department of Transportation consumer airline protection rules. Add $300 per person for New York departures. Add-on fares are available from other cities. Seats are limited and are subject to availability. 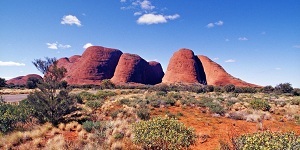 Australia from the awesome beauty and wild colors of Ayers Rock & Great Barrier Reef to the famous man-made icons such as the Opera House and Sydney Harbor Bridge. New Zealand’s awesome landscapes, lush forests, amazing wildlife and pleasant climate make it a haven for many outdoor activities. And the great advantage of New Zealand is that all of its diverse physical, cultural, and artistic landscapes are so close to each other! Australia’s icons range from the awesome beauty and wild colors of the natural icons such as Ayers Rock & Great Barrier Reef to the famous man-made icons such as the Opera House and Sydney Harbor Bridge. Unspoiled white sand beaches, long hot days, fabulous coral gardens and the friendliest hosts in the world, are just a few of the things the island nation of Fiji is famous for. The spirit, culture and beauty of Fiji will captivate you. New Zealand’s awesome landscapes, lush forests, amazing wildlife and pleasant climate make it a haven for many outdoor activities. And the great advantage of New Zealand is that all of its diverse physical, cultural, and artistic landscapes are so close to each other! Unspoiled white sand beaches, long hot days, fabulous coral gardens and the friendliest hosts in the world, are just a few of the things the island nation of Fiji is famous for. 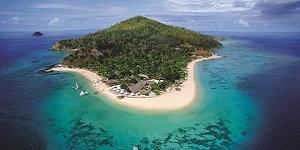 The spirit, culture and beauty of Fiji will captivate you The perfect South Pacific combination. Stop enroute at the Cook Islands, a place where simple, lazy days meet luxurious evenings, beautiful white sand beaches and panoramic views of the reef and breaking ocean waves. 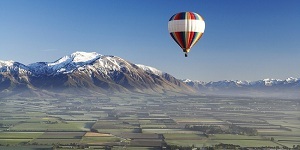 Onto New Zealand and whatever experiences take your fancy, romance and luxury, outdoor pursuits and adventure or food and wine And the great advantage of New Zealand is that all of its diverse physical, cultural, and artistic landscapes are so close to each other!